The Maruti Ertiga received its first full model change on the 21st of last month. Due to this reason, its sales increased by 36% Y-o-Y to 6,362 units (November 2017: 4,682 units) that month. 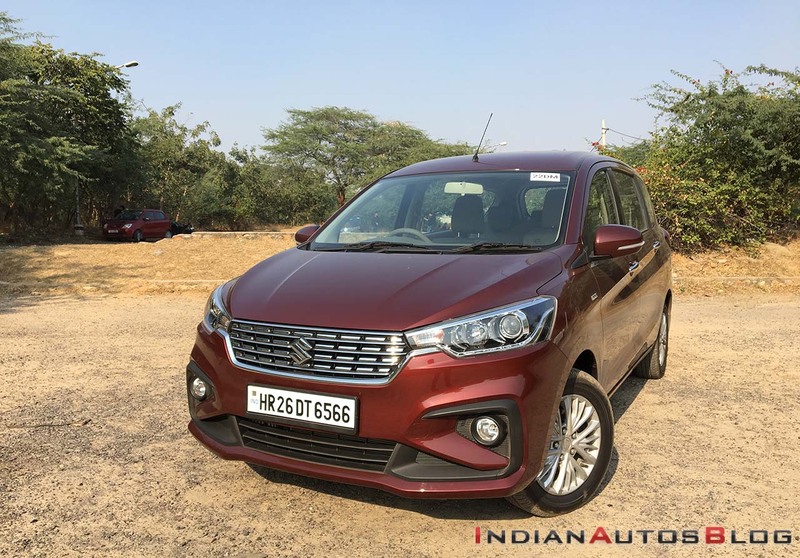 While the 2018 Maruti Ertiga receives the 1.3-litre D13A turbo-diesel motor of its earlier iteration, the petrol variant features the new K15B 1.5-litre engine that replaces the K14B 1.4-litre mill of the previous model. Unlike its predecessor, the new model misses out on a factory-fitted CNG kit and is available only in 1.5-litre petrol and 1.3-litre diesel engine variants. That said, the CNG kit is a part of the official accessories kit and can be retrofitted at the authorised dealership. Reportedly, a factory-fitted CNG variant will be launched next year, but the company could have decided to include the CNG kit in the optional accessories after witnessing a spike in demand for the last-gen Ertiga CNG around the launch of the latest generation model. It's said that dealerships saw a sudden rise in the queries for the CNG version of the outgoing model after it became public that the latest generation would miss out on the dual-fuel option. As per Autocar, the optional CNG kit for the 2018 Maruti Ertiga has been priced at INR 65,000 (inclusive of RTO and insurance charges) and has a one-year warranty. It has a fuel tank capacity of 14 kg, which is the same as that of the earlier model's CNG variant. It's noteworthy that the availability of a factory-fitted CNG kit on the last-gen model made it immensely popular in the commercial vehicle market. Similarly, the introduction of a CNG kit as a dealership-level fitment on the new MPV should ensure similar results as there's currently no other 7-seater model to be available with a company-authorised CNG hardware. The second-generation of the Swift-based MPV is 99 mm longer, 40 mm wider, and 5 mm taller than its predecessor, while its wheelbase, at 2,740 mm, remains unchanged. The new model is underpinned by the lightweight HEARTECT platform, which, along with the SHVS mild-hybrid system on both fuel variants, leads to a significant increase in the fuel economy. 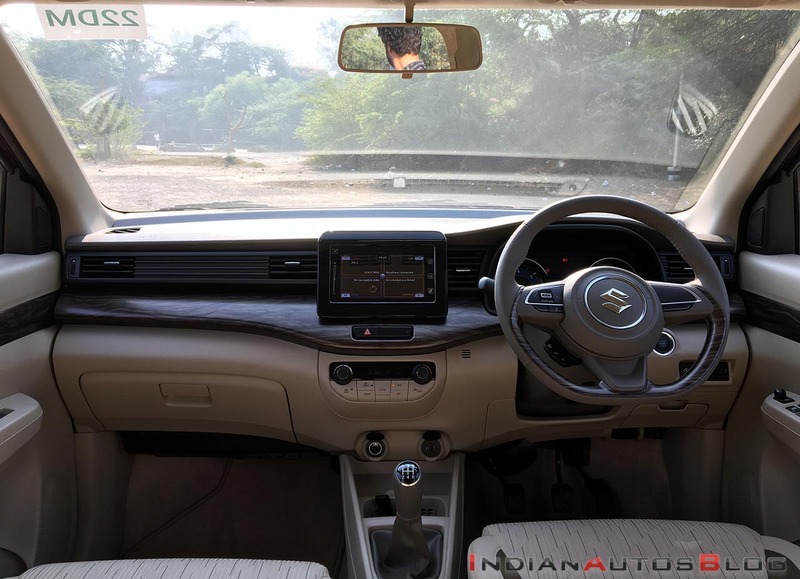 On the inside, the 2018 Maruti Ertiga feels a lot more upmarket than its earlier version, which is owing to more sophisticated dashboard design, more features, and better plastics. The CNG kit-equipped last-gen Maruti Ertiga offered a claimed fuel efficiency of 22.8 km/kg. The new model, on the other hand, is said to be capable of delivering up to 25 km/kg.